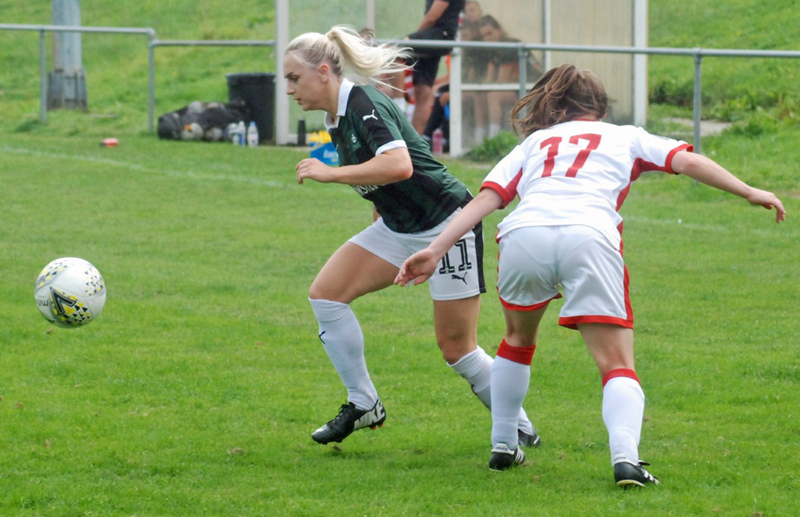 PLYMOUTH Argyle Ladies are once again on the road on Sunday when they travel to Portsmouth in the National League Southern Division. Their trip to Hampshire for the ‘Dockyard Derby’ follows on from their 3-2 away win at Queens Park Rangers last weekend. The Pilgrims have won four of their five league games so far to sit in the top of the division. Portsmouth have had a mixed start to the season winning three and losing three to sit sixth in the table. However, they go into this weekend’s game on the back of a 9-0 National League Plate win at Poole Town. Heading Pompey’s scorers is the dangerous Daisy McLachlan, who has already scored seven goals this season. Argyle last played Portsmouth in their 2015/16 relegation season, losing 5-2 and 6-0. Plymouth’s management team of Trevor Rodd and Dave Leonard have a difficult task in picking a squad. Flying winger Amber Pollock has returned from holiday and Steph Beck has made herself available as she has recovered from illness which ruled her put of last week’s game. One of the things which they have to be addressed is the team’s poor defensive record. In six matches played to date they have scored 20 goals but have conceded 14. Rodd: said: “We are looking forward to trying to get back-to-back wins on the road. The players have impressed in training, worked hard and pulled together. Argyle will be on the road until October 28 as after visiting Portsmouth they return along the south coast to play Southampton in the National League Cup and then visit Bideford in the defence of their Devon Senior Cup. The next home match is against Cardiff City on October, 28. 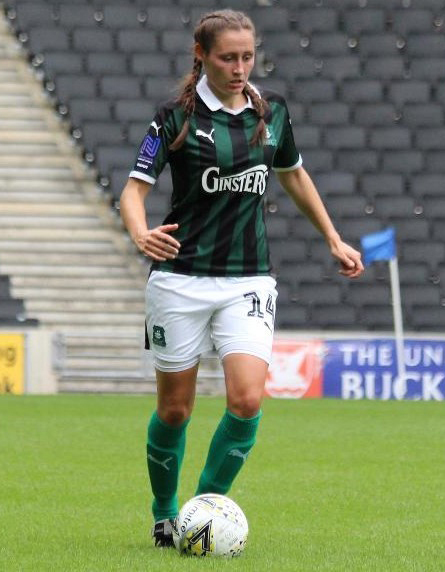 Possible Argyle squad: Lindsay Rogers, Darcey Hepworth, Mollie Taylor, Kate Middleton, Becca Wakley, Steph Beck, Faye Ivall, Kayley Lane, Helen Bleazard, Zoe Cunningham, Jessica Jones, Becky Dandridge, Amber Pollock, Tamsin Medd-Gill, Ebony Dover. Argyle’s development team are also on their travels in the South West League Western Division. After their nail-biting win at Weston-super-Mare last week, the young Pilgrims travel to Alphington. Argyle welcome back Charlie Rollerson, who has decided that she wants to be considered despite waiting for an operation on her broken nose. Young Tamsin Medd-Gill could also be included after her first team exploits and there is also a return in goal for Amy Darnley, who missed last week’s game. On the injury front there are doubts over Becky Parkyn (neck), Kelly Vinnicombe (hip) and Shania Fenlon (back). They are all included in the squad but will face a fitness test before the game. Alphington have won all their four league games to date and head Argyle on goal difference. Possible Argyle Development Squad: Amy Darnley, Vicki Fannon, Morgan Friend, Jodie Randall, Maya Ridge, Nicola Champion, Gabi Alphous, Sally Salter, Alex Hugh, Hannah Brock, Kiara Robins, Rachel Javan, Tamsin Medd-Gill, Charlie Rollerson, Becky Parkyn, Kelly Vinnicombe, Shania Fenlon.